Dan Richards teams up with celebrated artist, Jeff Newman, to share a funny and vibrant picture book about how powerful a child’s imagination can be…with a little encouragement. 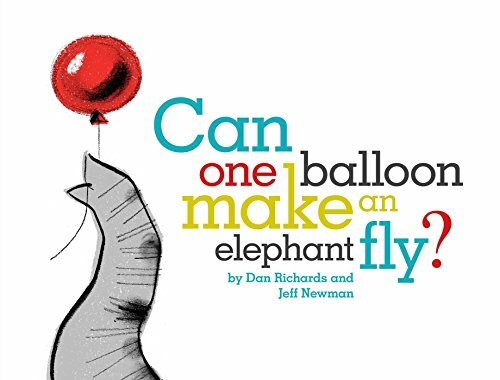 Evan asks a simple question, “Can one balloon make an elephant fly?” At first, his mother is too busy to answer. But when she takes the time to play the game with her son…magic happens.